ORLOS will teach this year Diploma Unit at the Bartlett School of Architecture UCL – link. The unit has its own website. Who was Tesla? A genius scientist, engineer, inventor and discoverer of the principles and laws of nature claiming over 130 original patents (!!). Being the inventor of the magnetic rotating field, the induction motor, the multiphase system of production, and transmission and employment of the alternating current he has clearly made the most substantial contribution to the world’s scientific and technological advance. Tesla, a naturalized American of Serbian origin, was born in Croatia, studied in Graz and Prague, spoke several languages fluently, and worked in Budapest, Paris and New York. 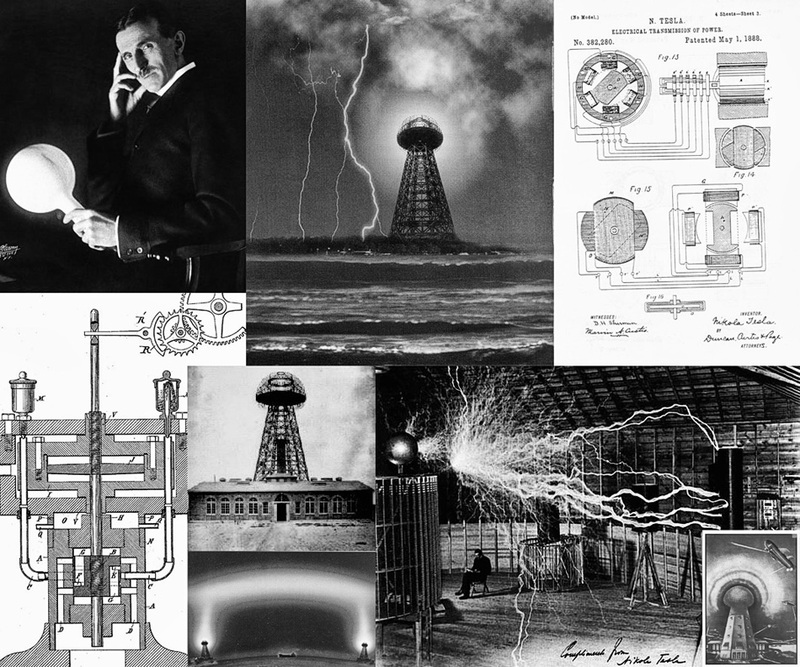 Part of his inventions are the alternating/rotating current, the alternating current motor, the Tesla coil, radio technology (energy transmitter and receiver for free energy), the remote control, the high-frequency bulb and the shrunk-on-disk rotor turbine. He is said to have discovered X-radiation one year before W.K. Röntgen. He had built a valve amplifier a couple of years before Lee de Forest. He had been using neon light in his laboratory forty years before the industry “invented” it. And he had demonstrated the principles we nowadays use for microwave ovens and radars decades before they became part of our applied technologies. Nevertheless, we do not associate his name with any of these inventions. He had powerful enemies, among others Thomas Edison. Many had stolen his inventions and profited from them, such as Marconi for example. Tesla, on the other side, died lonesome and bankrupt in a hotel room in New York. His „biggest“ invention, however, was the world-wide wireless electrical transmission. Tesla claimed that there was more than sufficient energy from natural sources on earth and that therefore everyone should have free access to it. One can only imagine what effects it would have on the world’s economy if everyone had energy at one’s free disposal. The key question is: What would the Tesla laboratory and the Wardenclyffe Tower, which Tesla had not been able to finish because of financial issues, look like in the era of Ubiquitous- and Grid-Computing, and the technological advance of today. The task will be to re-design those from the 21st century point of view. Important criteria are: new energy sources, resource-regenerative technologies, lifecycle intelligence, augmented realities, virtual world making, cutting edge computer technology, performative design strategies, on-demand and sensitive spaces, simulation platforms, architecture of the networks, connected intelligence, innovative materials. The Tesla doctrine (stated in many interviews and writings) is of importance for the conceptual part which emphasizes fundamental philosophical aspects before the progress of civilisation. We will visit Vienna and Graz, where the experimental laboratory will be established in MedienKunstLabor within Kunsthaus building Graz for 7 days. Furthermore, the trans-disciplinary environment for creative collaboration will be set up including experts from fields of: philosophy, physics, engineering, photography and media art. It will end with public presentation and party. «We are living in an age of unprecedented technical achievement leading to a more and more complete mastery of the forces of nature and annihilation of time and space. But this development, while contributing to our comfort, convenience and safety of existence, is not in the direction of true culture and enlightenment. On the contrary, it is destructive of ideals.